Is Long-Term Care Insurance Taxable? 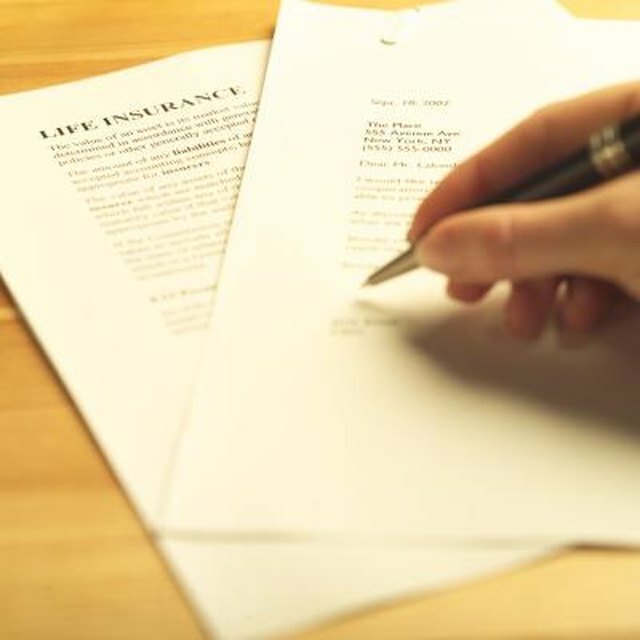 What Does It Mean for an Insurance Policy to Mature? The need for long-term care insurance in America is growing exponentially each year as of 2010. These policies pay out billions of dollars to nursing homes and skilled care providers that meet the daily needs of millions of elderly Americans. How these policies are taxed can have a substantial impact on what goes on your 1040 Form each year. Find out what you need to know about the tax status of long-term care benefits. Most long-term care insurance policies today are issued as tax-qualified policies. This means that the benefits that they pay out are tax-free to the recipient in virtually all cases. For tax-qualified policies, there are no reporting requirements. Long-term care benefits can be deducted if the total amount of premiums paid exceeds 7.5% of the taxpayer's adjusted gross income. The amount in excess of this threshold can be deducted on Schedule A of the 1040, but the taxpayer must be eligible to itemize deductions. If this is not the case, then all premiums paid for the year are nondeductible. What Does Long-Term Care Insurance Normally Cover & Not Cover? How do I Use Anthem Medical Care Overseas? The insurance company should pay out the benefits in the policy directly to the care provider in most cases. If they pay the benefit to you, then you may have to declare it as income if you take constructive receipt of the money before sending it on to the care provider. Consult your tax or financial advisor or insurance agent for more information on this situation. If the policy is not a tax-qualified policy and the benefits need to be taxed, the insurance carrier should notify you or send you a 1099 form. This form will tell you where to declare the income on the 1040 form.